Herbal relief for lower respiratory issues such as bronchitis*. Effectively supports lungs by acting as an expectorant which can reduce irritation to the bronchial tubes*. Offered in a convenient syrup for a friendlier approach for kids. Other ingredients: water, maltitol, ethyl alcohol, citric acid monohydrate, potassium sorbate as a preservative. Suggested Dosing: 3 times per day unless otherwise directed by health care practitioner. Use only with adult supervision. Convenient dosing cup included. 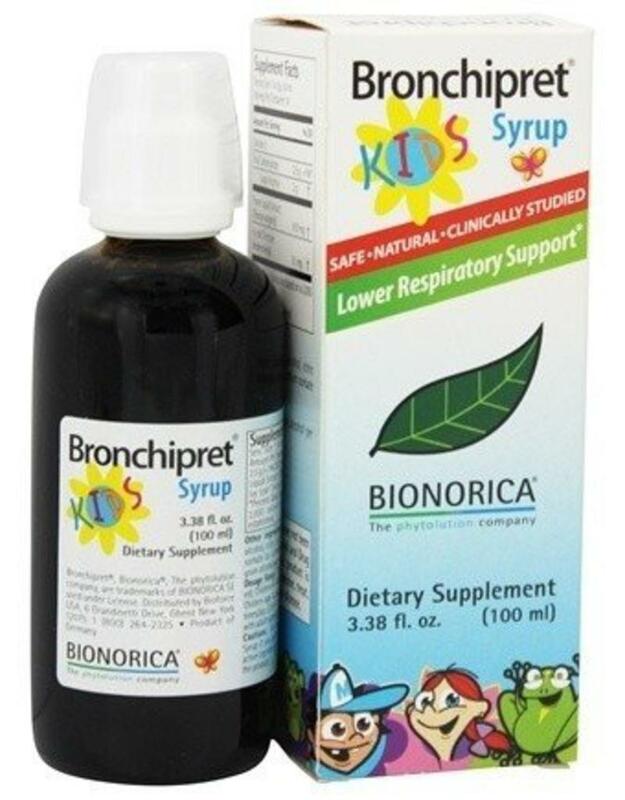 Caution: Do not take Bronchipret® Kids Syrup if you are hypersensitive to one of the active ingredients or to any other ingredient of the product. 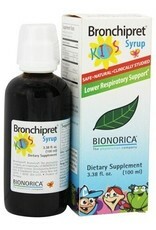 This product can be taken in place of Bronchosan if the strong herbal flavor of Bronchosan is unpleasing to your child.